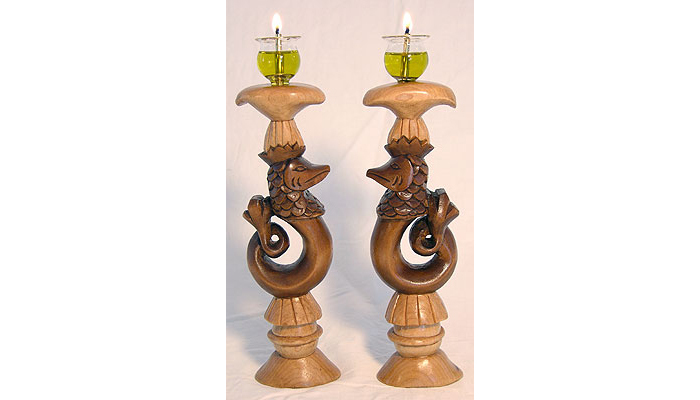 Gabriel Bass hand carved these shabbat candlesticks, each from a single piece of wood. The design is based upon a fifteenth century Eastern European Jewish silver metal mold representing the Leviathan. The Leviathan sea monster is well known in Jewish lore as the central dish at the messianic shabbat meal. 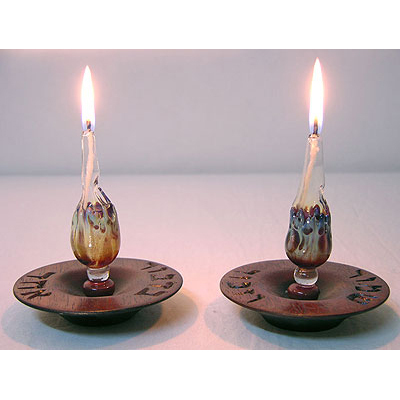 The candlesticks have easily removable, cleanable, or replaceable borosilicate glass fittings, which are heat and shock resistant. 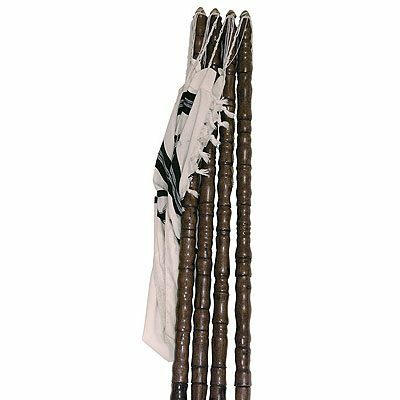 Bass Furniture and Judaica designs and builds custom Jewish ceremonial items. 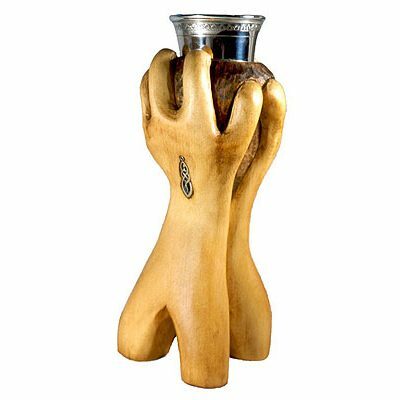 Gabriel hand crafts each product according to needs and style of our clients. 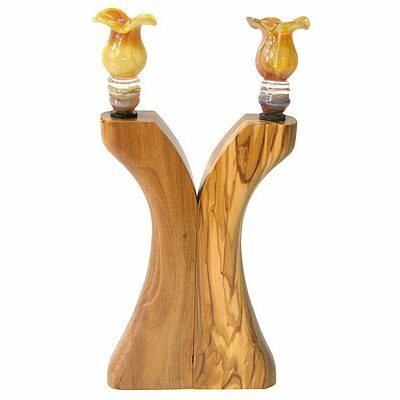 We make each piece from quality materials, solid wood and borosilicate glass, the most durable, heat and shock glass available. Contact us today to inquire about current availability and custom options.